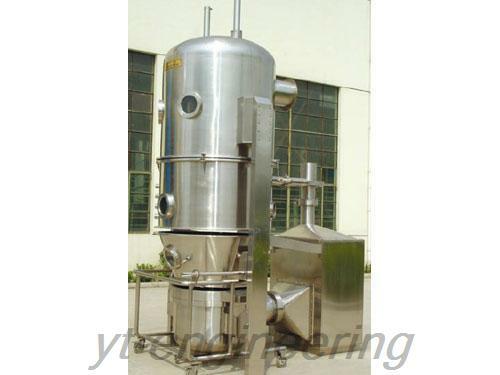 PGL-B spray dryer granulator is a kind of machine that combines spray drying and fluidized granulation. It granulates the liquid materials in one-step process. The finished products are good at solubility. For example, the granules are easy to melt and the tablets are easy to disintegrate. Using liquid materials to serve as wet adhesives can save a lot of alcohol. The equipment operates under confined negative pressure and the inner surface of PGL-B spray drying granulator is smooth and without any dead angle, meeting the GMP standard. PGL-B spray dryer granulator can produce tablets, granules, capsules granules and sugarless or low sugar medicine pellets in pharmaceutical industry. This PGL-B spray drying granulator is suitable for cocoa, coffee, milk powder, juice of granule, condiment and health products in food industry, and pesticide, fodder, fertilizer, pigment and dye in other industries. 1.Spray dryer granulator adopts spray process and is especially suitable for micro accessories and thermo-sensitive materials. The efficacy is 1 to 2 times higher than FL fluidized bed granulator. 2.Equipped with powder returning device, the final moisture of PGL-B PGL-B spray drying granulator is only 0.1% and the granulation rate is greater than or equal to 95%. The extent of the finished products after granulation is 0.2 to 2mm. 3.With the improved mixed-type multi-fluid atomizer, spray dryer granulator can process the materials whose extract content is up to 1.3g/cm3. 4.High automation and stable in operation can effectively guarantee the stability of the PGL-B spray drying granulator. 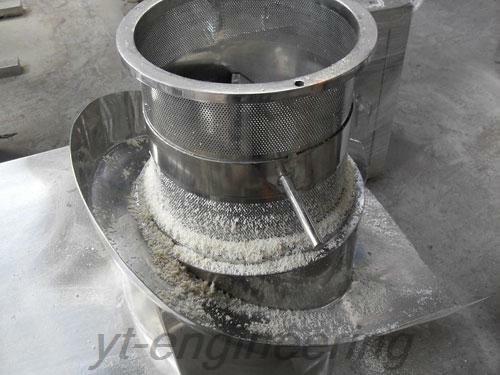 Jiangsu Yutong Drying Engineering Co.,Ltd. 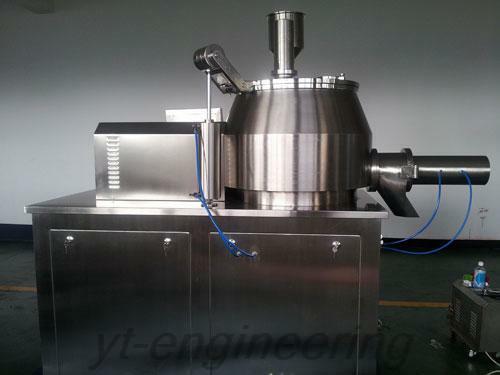 is a professional drying machine manufacturer and PGL-B spray drying granulator supplier in China. Yutong possesses 10 professional engineering and technical personnel and over 100 sets of processing equipment. Over the years, we make our effort to the development and production of spray dryer granulator, drying equipment, grinding machine and blending machine. For more information about spray dryer machine, please feel free to contact us.